The hammer mill is the best known and by far the most widely used crushing device employing the impact principle of breaking and grinding stone. 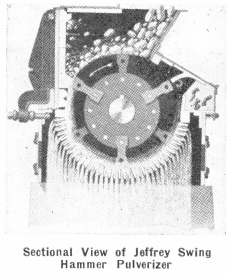 Thus far we have described machines which do a portion of their work by impact, but the only machine described in which this action plays an important role was the sledging roll type and particularly the Edison roll crusher and in these machines impact is supplemented to a substantial degree by a positive and powerful sledging action by teeth which are rigidly attached to massive rolls. 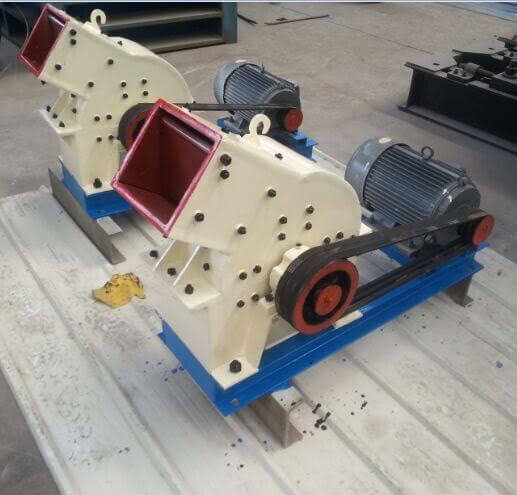 In the hammermill, impact is the predominating action although its scope varies in different designs of this machine, as will be seen. 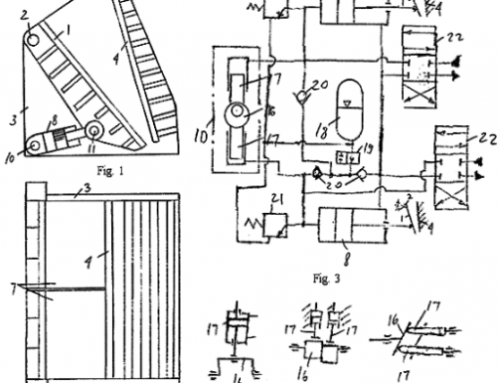 The hammermill, fundamentally, is a simple mechanism. The “orthodox” machine comprises a box-like frame, or housing, a centrally disposed, horizontal-shaft rotating element (rotor) on which the hammers are mounted, and usually a set of circumferentially arranged grates in the lower part of the housing. The rotor consists of a shaft carried in bearings at either side of the housing, and the hammer centre of multi-flange drum or spool shape. 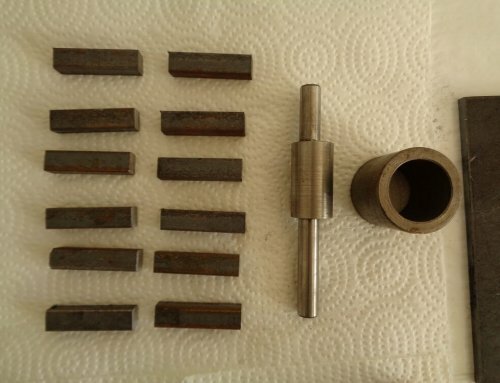 The flanges of this drum-like assembly are drilled near their outer edges for hinge pins to which the inner ends of the hammers or hammer arms are attached. The hammers themselves are made in a variety of styles and shapes. Sometimes the hammer arm and head are cast, or forged, integrally; in other designs as in the impactor the arms and hammer head are separate pieces. 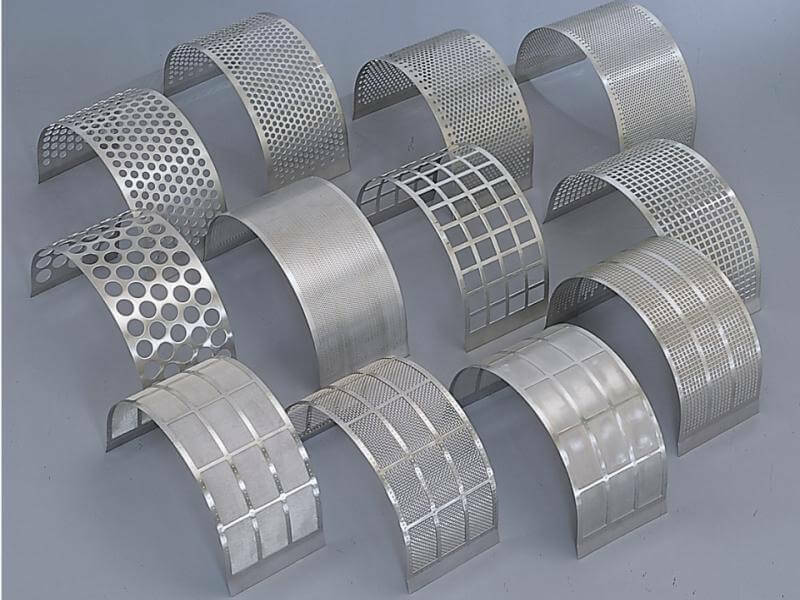 The grates usually consist of a transversely arranged series of tapered, wear-resisting steel bars, which form a cage of circular cross section across the lower part of the housing just below the hammer path. The spacing of these steel bars varies quite widely, depending upon the size of product and upon the characteristics of the material to be crushed. The spacing may be anything from % in. or slightly less, up to several inches, and in some machines may be dispensed with entirely for coarse products and closed-circuit operation. 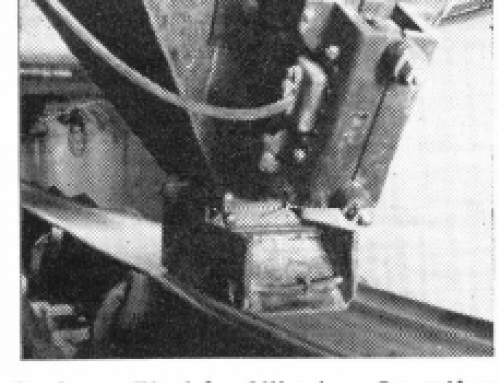 Hammermills may be connected directly to the driving motor, or driven by a flat belt or V-belts. The two latter methods have one material advantage over the direct drive; they permit speed adjustments to achieve optimum performance for each particular set of conditions. Belts also affords a substantial cushioning effect between mill and motor when tramp iron or broken hammers throw heavy shock loads upon the driving apparatus. 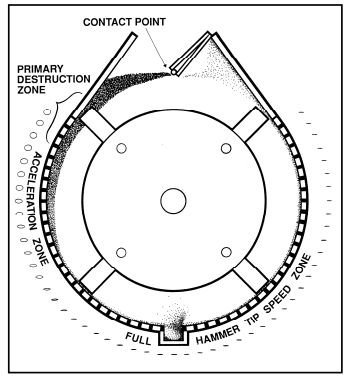 In the impact-hammer-mill, a cross-sectional view of which is shown here on the left, the process is, in one important respect, a reversal of that just described. The material enters the machine on the up-running side of the rotor, where it is struck by the hammers as they start their sweep across the upper part of the housing. The top of the crushing chamber is lined with a series of breaker plates whose impact faces are involute with respect to the hammer circle, so that material hurled by the hammers impinges squarely against these surfaces regardless of the striking point. 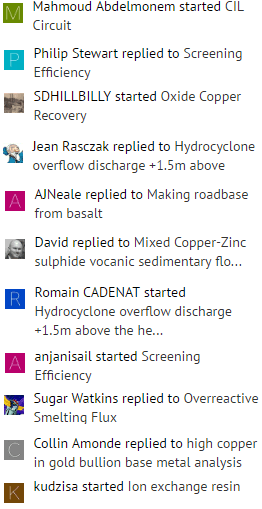 The action in this impact zone is a succession of violent blows, first from hammer-to-material and then from material-to-breaker plate, and so on through the several stages of the involute series. 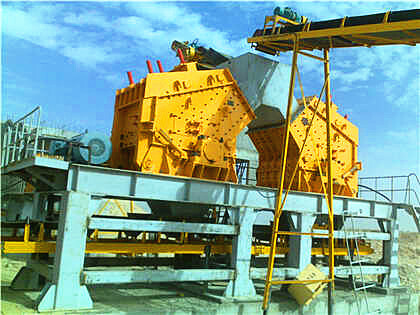 As contrasted to the type previously described, most of the work in this crusher is done in the breaker-plate zone; the grates function chiefly as a scalping grizzly, and the clearance between hammers and grates is relatively large. A certain amount of impact breaking does take place between hammers and grates, but this is secondary to the work done against the involute plates. 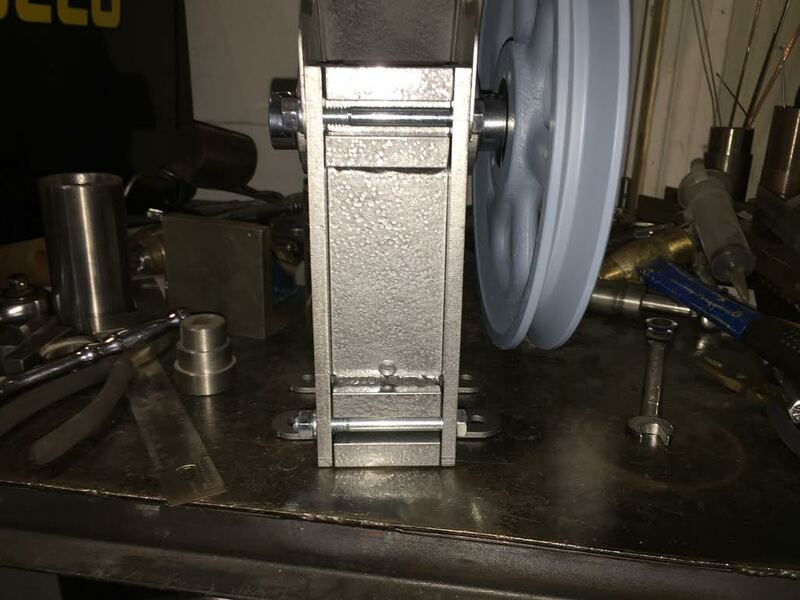 On friable material this machine will deliver a medium fine (0.25″ to 3/8″) product with some, or even all, of the grates removed. The capacity of any given size and type of hammermill depends upon several factors. The character of the material influences the performance of this machine to a greater degree than it does that of any of the crushers previously discussed. 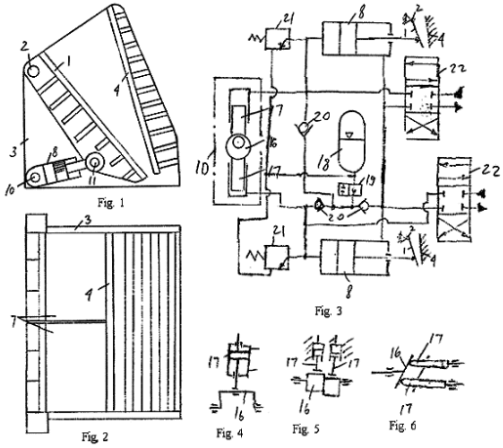 It is only natural that this should be the case; all of the energy consumed in the crushing chamber is delivered by free-swinging hammers, and it is to be expected that there would be a considerable difference in the effect of these impact blows upon materials of varying physical structure. Higher speeds will of course produce better shattering effect to take care of hard rock, but there are definite limits, both from mechanical and operational standpoints, to the speed of any particular mill. 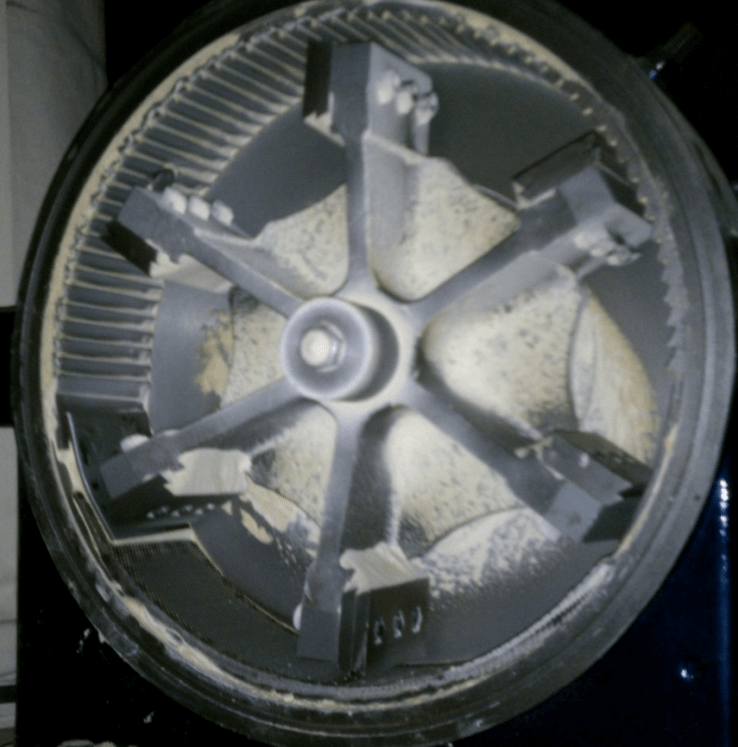 Speed, or velocity, while it is the very life of the hammermill, may also function to limit the amount of feed that the mill will take. Thus, in any given machine, the number of rows of hammers used will affect capacity. Or, to state it a little more clearly, for any combination of speed, feed size, and number of rows of hammers there is a definite limit to the amount of material that the mill will receive. This is understandable when it is considered, for example, that in a machine running 1500 RPM, with four rows of hammers, the receiving opening is swept by a row of hammers 100 times each second, and there is obviously a limit to the amount of material that can enter the space between two successive hammer rows in this short period of time. 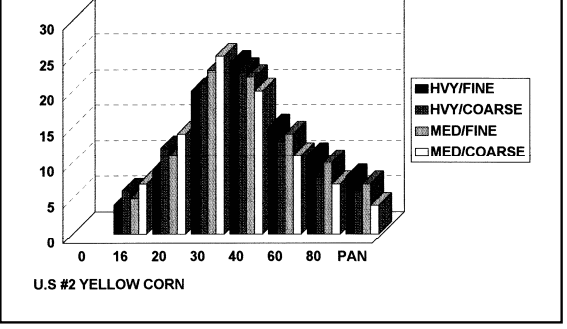 We find that for some combinations of feed size and product size, more production can be obtained with only two rows of hammers, rather than three, or more. Radial velocity of the material entering the mill will naturally have a direct bearing upon the amount that will drop in between the rows of hammers. Thus, in a well designed mill the feed spout is always so arranged that the material falls, rather than flows, into the crushing zone. It is hardly necessary to state that the size of product directly affects the capacity of a hammermill, just as it does any type of crusher. The finer the product the more work the machine must do; furthermore, the grate bars, when any are used, must be spaced closer, which means that the open area of the grate section is reduced. 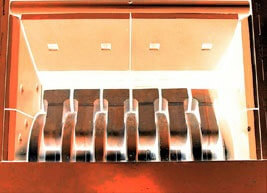 When the grate bars are spaced widely, or dispensed with, and the sizing is done over a closed-circuited screen, product size has the same direct influence upon capacity because, the finer the screen openings, the more return load and, hence, the less original feed that can be handled by the mill. Size of feed affects capacity, but not always in the inverse proportion which might, at first thought appear to be logical. For example, suppose we were operating a medium-size hammermill on limestone, turning out a 10-mesh product. We know that this machine will handle more tonnage if we feed it with, say, 3″ maximum size rock, as compared with a feed of 10″ or 12″ maximum size; which accords with the “logical” expectation. However, if we further reduce the feed size to, say 12″ maximum, we find that our will increase very little if at all; in fact it may actually decrease. This apparent anomaly is explained by the fact that the effect of impact upon a free body of material varies directly with the mass of the body; consequently the energy absorption, and hence the shattering effect, is much greater on the 3″ piece than it is on the 1/2″ particle. Because all these variables that we have noted have an influence upon the capacity of the hammermill, it is impossible to present a comprehensive tabulation of capacity ratings which can be relied upon for any and all materials. We can however do so for any one material, as we did for the Fairmount crusher. 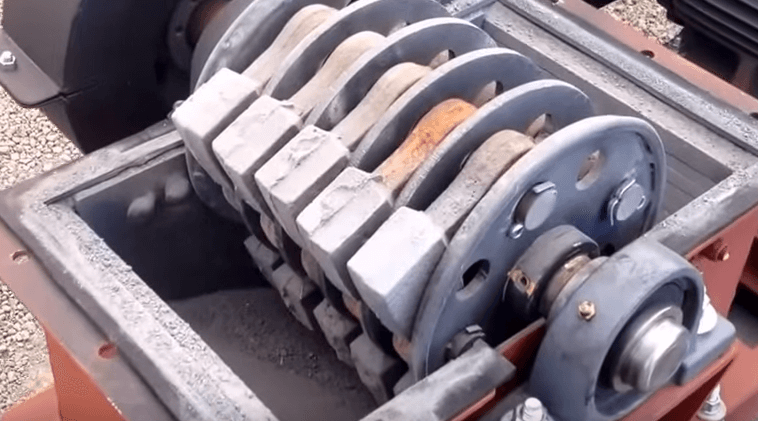 It is convenient and logical that this should be a medium limestone in this case also, because hammermills are applied extensively to crushing, and pulverizing, that kind of rock. 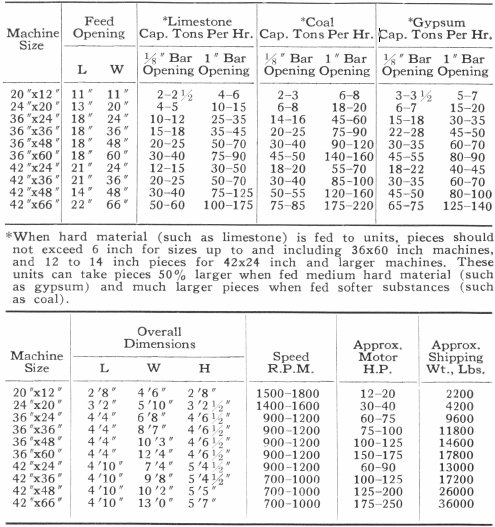 Above is the approximate capacity ratings of the various sizes of hammermill (impact crushers), on medium limestone, and for various grate bar spacings. Unless the prospective hammermill user has operational data on which to predicate his selection of a new machine for some specific service, the safest procedure is to have his material tested, either in the field or in the laboratory, in a mill of the type he proposes to install. The percentage of fines, in a product of similar “top size,” will usually be substantially higher, as compared to products of pressure type crushers. On almost all materials for which the hammermill is economically suited, the product will be of a cubical nature, with a minimum of flats and splinters. The shattering effect of the blows delivered by hammers travelling at velocities as high as 200 Feet/Second is conducive to both of these results. It is natural to expect that gradation of the hammermill product would vary somewhat for materials of differing friability, and results verify this expectation. Furthermore, speed has a definite influence upon product gradation; high speeds increase fines, and vice versa. The effect of impact at extremely high speed is, on friable material, almost explosive, the action being more aptly designated as ‘‘pulverizing,’’ rather than crushing. Lower impact velocities have a more moderate breaking effect, and if the material is able to clear the crushing chamber before it is struck too many times, the low speed hammermill will turn out a fairly uniformly graded product on material of average friability. The design of the crushing chamber will also affect product gradation. In general, those machines which perform most of their work by straight impact action will turn out a more uniformly graded product than mills which depend upon interaction between hammers and grates for most of their reduction. This is only natural in view of the fact that attritional grinding is minimized in the former type of mill. What is intended to take place inside a hammermill is the uniform, efficient reduction of the material introduced into the grinding chamber. This particle reduction occurs as a result of the impact between a rapidly moving hammer and a relatively slow moving particle. If sufficient energy is transferred during the collision, the particle breaks and is accelerated towards the screen. 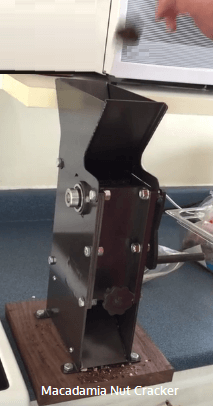 Depending on the particle size and the angle of approach, it either passes through the screen or rebounds from the screen into the rapidly moving hammers again. As materials move through the grinding chamber they tend to approach hammer tip speed. Since reduction only occurs when a significant energy is transferred from the hammer to the particle (large difference in velocities), less grinding takes place when the particles approach hammer tip speed. Many manufacturers incorporate devices within their mills to interrupt this product flow, allowing impact and reduction to continue. Tear circle hammermills have a more positive, natural redirection of product at the inlet than “full circle” design machines. While the basic operational concepts are the same for all hammermills, the actual unit operating conditions change rather dramatically depending on the materials being processed. Grains such as corn, wheat, sorghum and various soft stocks, like soybean meal, tend to be friable and easy to grind. Fibrous, oily, or high moisture products, like screenings, animal proteins, and grains like oats and barley, on the other hand, are very tough and require much more energy to reduce. Consequently, the hammermill setup that works well for one will not necessarily work for the other. The following discussion covers such factors as tip speeds, hammer patters and position, horsepower ratios (to hammer and screen area), and air assist systems. Little space is devoted to screen sizes (perforation or hole size) since processing variables would make any hard and fast statements nearly impossible. 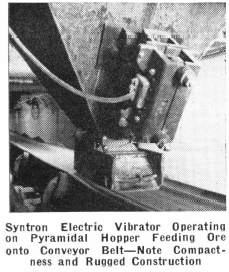 This machine operates on the principle of reducing the material by striking it while in suspension, as opposed to attrition. 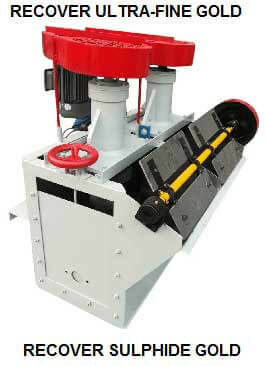 The material is fed into the top of the machine and falls into the path of the rapidly revolving hammers. Different degrees of reduction may be had by simply varying the speed of the machine. This unit is of extra heavy construction and consequently is well adapted for severe duty. 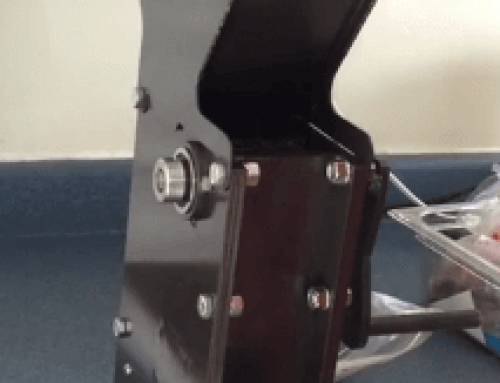 The hinged breaker plate is adjustable while operating and is fitted with a heavy renewable liner. Shafting is high carbon forged steel and is fitted with discs which are of heavy plate and cast steel, carefully balanced. Screen bars may be high carbon steel, tool steel, or manganese steel as desired. 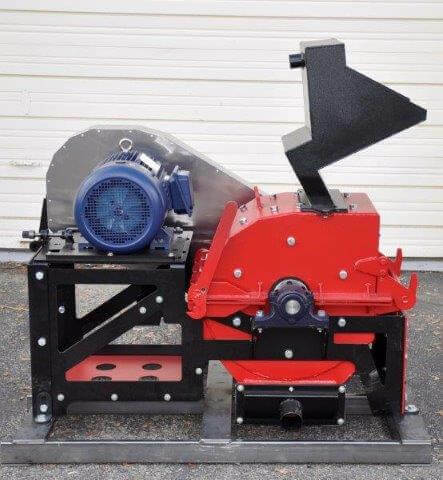 Jeffrey Swing Hammer Pulverizers have heavy cast iron frames and are lined with renewable chilled iron liners. Hammers are made of materials best suited for the particular job. Highest grade radial ball bearings are used and they are readily accessible for inspection and oiling. This keeps power consumption to a minimum and maintenance and repair part costs are extremely low, even for most types of heavy duty. A metal catcher attachment is available for use on all sizes of pulverizers where tramp iron may be encountered. It may be specified when unit is ordered or obtained later and installed when need arises. Let us make recommendations for your pulverizer installation. Information required is type of material to be handled, tonnage size of feed, and desired size of product. Belt or motor drive may be used as required.